The Aussie Chopper WS3150 log splitters from Whitlands Engineering are large hydraulic machines. They are recommended for splitting larger volumes of firewood for farms, hire, or small commercial operations. These log splitters are safe, easy to use, ergonomic, and productive. 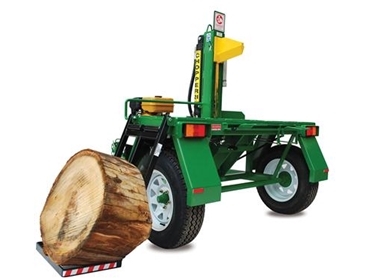 Aussie Chopper WS3150 log splitters are the second biggest in their range they have a 200kg capacity robust hydraulic log lifter, larger wheels, larger workbench and a larger frame. Is it possible to buy just a pivoting blade (from the SuperAxe model) separately? 17/06/2014 - We will sell this as a replacement part only.